Welcome to The Rainham Coach Co. 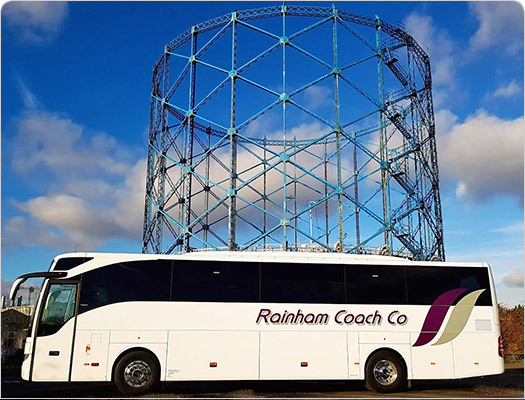 The Rainham Coach Co. has over 20 years of experience of operating luxury 16-49 seater coaches. We pride ourselves on the quality of our vehicles, and most of all, our quality of service. For an online quote, please complete our quote form. To find out more about our services, and how we can help you, please feel free to contact us. 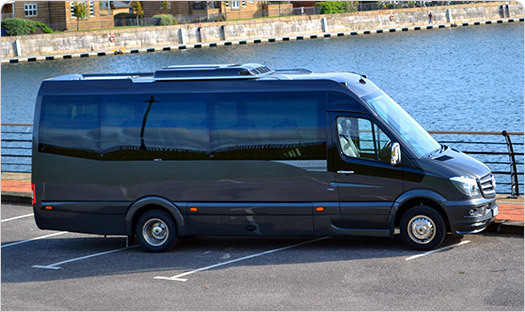 Coaches are available with reclining seats, air conditioning, and large boot space. We provide coaches ideal for all kinds of journey. Click here for more details of our fleet. Our new Mercedes Tourismo comes with 49 reclining seats, Air-Conditioning, Toilet/Washroom, Free Wi-Fi, USB Charge Points on every seat, a fridge, and a DVD player with 2 screens. It also has full wood-effect flooring, and comes with all the comfort and refinery you’d expect from a Mercedes. Welcome to PRIMA - The new name in Luxury Mini Coaches. 19 leather reclining seats, climate control, Free WiFi, USB Ports, DVD Player and Superb Styling. Dont Just Travel - Travel With Style. Follow us on Facebook and Twitter.